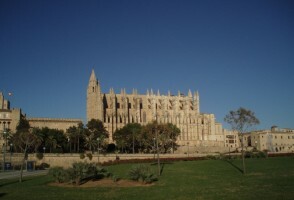 Compare Car Hire at Menorca Mahon Airport - Cheaper rental rates in Menorca for SUV, MPV & Minivans. 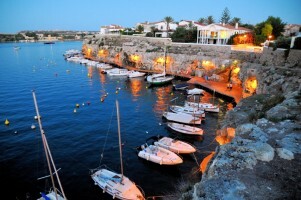 Get cheaper car hire at Mahon Airport on the serene island of Menorca. Also check our cheap SUV and 7, 9 seater minivan prices. Choose from Atesa, Budget, Bravo, Centauro, Goldcar or Inter Rent, to name a few, but these tend to be offer the most value. Inter Rent include this in their rate and also have their cars on the airport. The rates we show are usually for drivers aged 25+, but drivers as young as 18 (use Flizzr with credit card) can hire cars, but pay extra locally. Drivers aged 19 yeas plus can use Inter Rent & OK Cars, but again no debit card, or cash, allowed. Drivers aged 21yrs + have a few more options with a few more suppliers, but extra fess still payable. If unsure, please email us. If aged 23 years, then you can book with Flizzr and pay not have to an extra fee. All car rentals have unlimited mileage and it is free to make changes. Youget a free cancellation clause, but terms dictate, so please check, or ask, but usually free until two days before. We also have rates with Avis, Alamo/National and Europcar, but tend to be more expensive than the others. If not want to get at Mahon Airport, then you can rent a car from quite a few locations dotted around the island, like Calan Bosch, Cala Galdena, Son Bou, Santo Tomas and Puerto de Cuidadella. 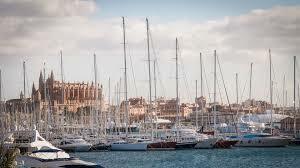 Menorca, or Minorca, is the quieter of the three Balearic islands. 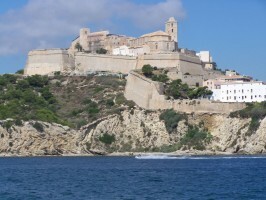 Mahon, or Mao in Spanish, is the capital of the island. Many people come to see the ancient stones and if you come in the summer, you are bound to stumble across a fiesta or two. However the main one is the Saint Joan Festival in June. If prefer not to lie on a beach, then head for the hills and see the wide range of flowers and butterflies. Even if not catching a ferry to another island, still head to the harbour and have lunch and watch the boats and people meander by. To get in and out of the airport, your common choices are taxis and buses. There are bus lines that offer a link from the airport to the city. However, a taxi is a better choice than buses. The taxi rank is found right outside the passenger terminal. However, the best and by far, the most convenient mode of transportation in Menorca is to hire your own car. Cheaper rates for vehicles in Mahon on Menorca. Debit cards okay if book with Record & Goldcar through us. Driving quickly away, made easy at Mahon Airport. If going to Ibiza then we can also help with an automobile. 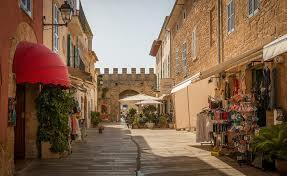 Or perhaps off to Majorca?. Or if heading back to mainland Spain itself, then perhaps we can help out there? Wherever you are going check our rental rates.